Khalifah Aganaga’s Manager, Emma Carlos Mulondo and his girlfriend Ritah Nakyanzi are no longer item, according to latest reports. The break up comes just a day after the internet caught wind of Emma Carlos’ ugly manners of beating up his wife repeatedly and failing to fulfill his manly duties at home. “We are going to take my sister away from him because he has never even paid bride pride” she added. 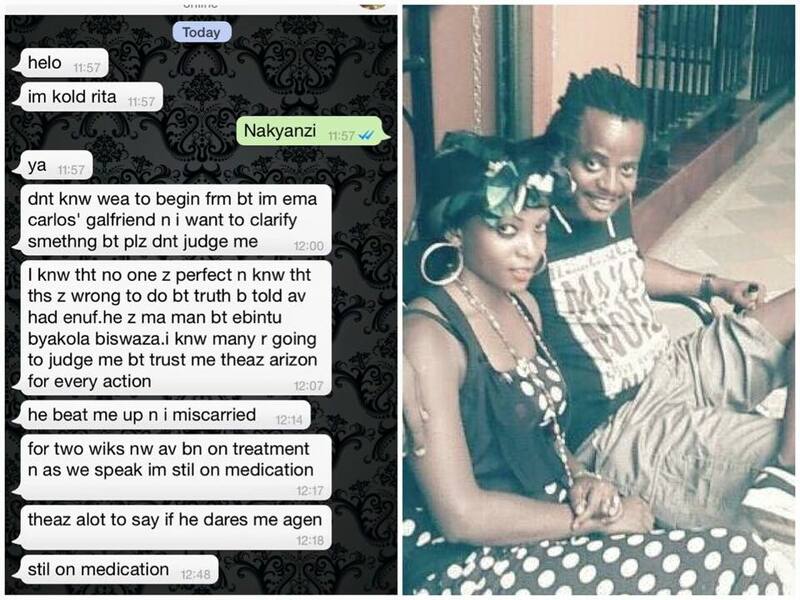 Before Emma Carlos absorbed this message and everything that was being said about him on the web, his wife Ritah was on her way out of their house and as you read this she has reportedly cut the relationship and is now camping at a friend’s place until she finds another man.